Lukasz Seliga returns to Trapez under his SLG moniker with this new two-track 12". 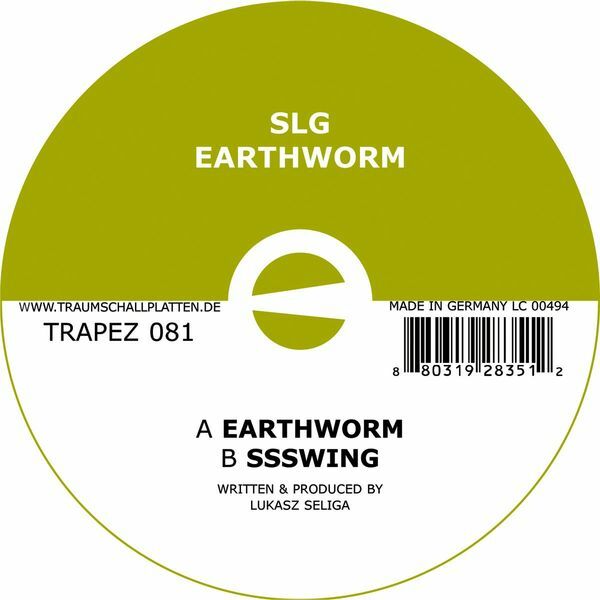 A-side 'Earthworm' is an appropriately wriggly techno cut, with a kind of arpeggiated legato slipperiness that's very much in keeping with the annelid theme. B-side 'Ssswing' has a bit more of a house feel to it, with abrupt rhythmic keystrokes and a disjointed, jazzy Rhodes cut-ups.